The first documentary, Flume: When Everything Was New, will probably focus on the artist’s meteoric rise into his music space. 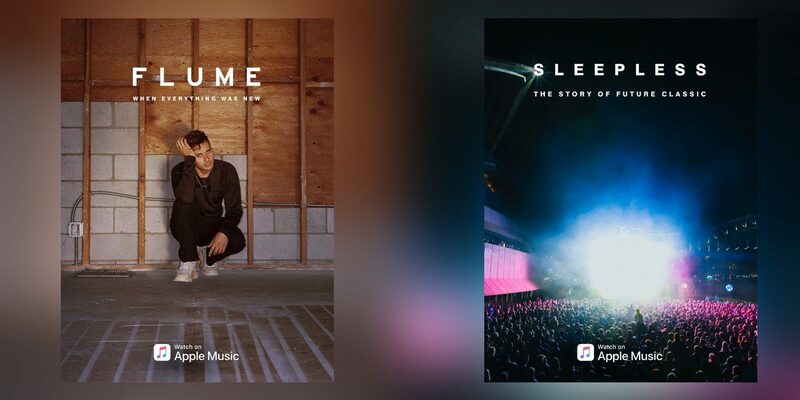 The second documentary, Sleepless: The Story of Future Classic, could have a mix of both Flume’s career and his involvement with the independent record label Future Classic. Flume’s Sleepless was one of this breakout hits that helped put him on Future Classic’s radar, which eventually lead him to get signed to the label. Both documentaries are set to release April 20th, exclusively on Apple Music. When Everything Was New and Sleepless the story of @futureclassic.